Joe Sonne living in Canada , is one of the most popular person who joined Joomla! from its initial position when Joomla was a project named Mambo. He got involved with Joomla in 2005. And from there, his journey with Joomla started. From a user to volunteer to board member to fundraiser, he has done a lot for Joomla from behind the scenes. He is the owner of JoeJoomla and Joe Sonne Marketing. Moreover, he was the former Secretary of Open Source Matters (OSM) and currently he serves the project as the Capital Committee Chairperson and also a team member of the Marketing Member Group. He's a trainer, speaker, and writer about all the things related to Joomla. Luckily, we got a chance to know him more closely and he shared his Joomla journey with us. We are going to share his journey and some of his untold story too. ​"I studied commercial art and advertising in school. I spent some time in the advertising department of a large national mass merchandiser but not as an artist. I went to the production side of the things and really loved being the guy that could communicate well with the art directors and production suppliers. My next big move was to sales. I worked for one of the largest graphic art companies in Canada. I was one of the first salesman in Canada specializing in digital marketing. After this period I transitioned to management and was the Director of Communications for a national non profit organization. This is when I discovered Joomla and became involved in the project. I went full time with my own Joomla based business in 2009. I've been privileged to serve on the board of Joomla(Open Source Matters) and today I'm still a volunteer with the project serving as a Team Leader." ​JoeJoomla produces great and award winning websites. They provide website content management solutions, web hosting, Joomla training services etc. In Joe's word, "My digital brand is JoeJoomla. We specialize in Joomla"
What do you think about the future of Joomla? "Joomla is a leader in open source content management website systems(CMS). Joomla is the first open source CMS to adopt php7. This tells you a lot about the project. It's been the best and will stay so because of forward thinking. There's opportunities for bright and innovative developers to make a name for themselves in this project since anyone can volunteer their time and skills to make Joomla better." "I use a ThemeXpert template and Quix Pro for my client project site. The people at ThemeXpert are friendly and willing to jump in and help when needed. I Like That! " If you recommend ThemeXpert to others what you'll say ? "ThemeXpert will help you to create great looking websites that work well"
"Quix is fun to use. To improve Quix is to simply keep it working well with Joomla and continue to add things that today's modern websites need and want." Every week Sarah Watz, the CEO, co-founder and co-owner of Pixpro labs hosts a live show with the successful entrepreneurs who have built their business around Joomla!. Guests share their Joomla journey on the show and provide suggestions for the beginners. Till now 27 guests have attended and shared a glimpse of their lives. Join the Pixpro Labs LIVE Show's second episode with host Sarah Watz and special guest Joe Sonne. A conversation about life, business, and Joomla! "New developers and startups getting into the Joomla space should make themselves personally known to the Joomla community as well as their own customers. Align yourselves with good people and get involved with the Joomla Project as a volunteer. Make sure you can be found here." Joe is an awesome person. He is very generous and helpful. 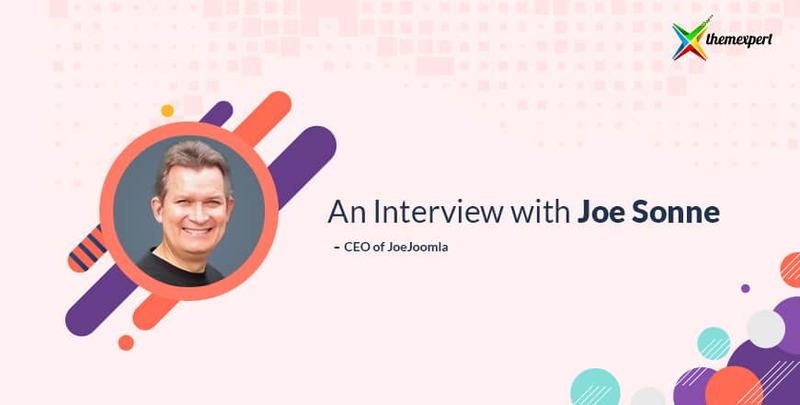 I wanted this interview to be helpful for the newbies, to inspire them and get them introduced in the Joomla market. And your question is also very much important to us. So, please use the comment box to write your questions and suggestions. LinkedIn, Twitter, JoeJoomla, Joe Sonne Marketing.